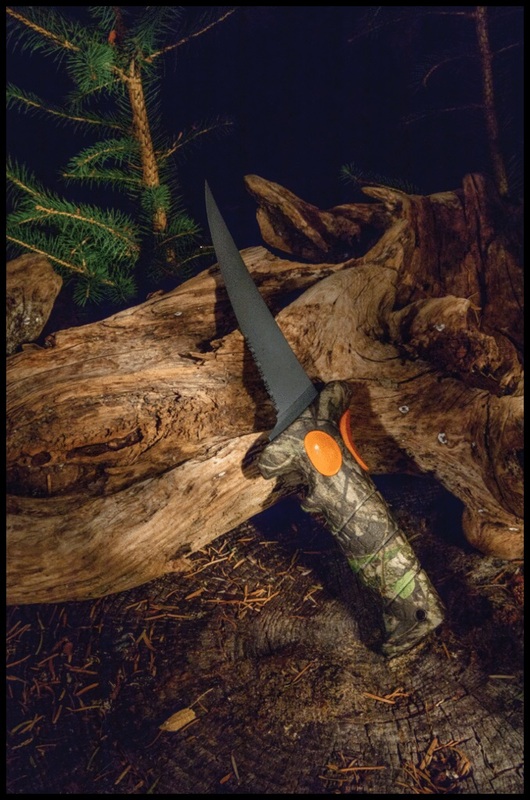 ORO VALLEY, AZ (October 11th, 2016) – Bubba Blade worked hand in hand with hunters and the National Wild Turkey Federation (NWTF) to design the perfect knife, the Turkinator. The Turkinator is the ultimate boning knife for any type of fowl or game. 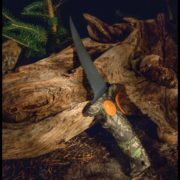 The Turkinator features the official camouflage of the NWTF, Mossy Oak Obsession®, on the handle. Obsession features an enhanced background of mottled tree bark inspired by the original Mossy Oak Bottomland pattern, true-to-nature elements of limbs, pine and oak foliage, and spring color tones to match the turkey woods in spring and early fall. Obsession includes the NWTF logo embedded within the pattern. Bubba Blade is an officially licensed partner of Haas Outdoors Inc. Haas Outdoors Inc. is headquartered in West Point, Miss., was established in 1986 and is home of Mossy Oak. Celebrating 30 years in 2016, Mossy Oak is a leading outdoors lifestyle brand that specializes in developing and marketing modern camouflage designs for hunters and outdoors enthusiasts. The Mossy Oak Brand and patterns can be found on a multitude of products worldwide. Haas Outdoors Inc. is the parent company of Mossy Oak, BioLogic, Mossy Oak Productions, MOOSE Media, Nativ Nurseries, Nativ Living, GameKeepers, GameKeepers Kennels and Mossy Oak Properties. Mossy Oak is the official camouflage of the National Wild Turkey Federation and Ducks Unlimited. Ranger Pro Steve Pennaz Inducted into Fresh Water Fishing Hall of Fame Check out the Sixth Edition Americana Outdoors E-Magazine!